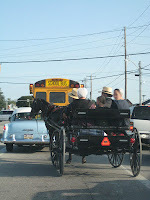 I live near beautiful tourist ridden Amish Country of Lancaster County, Pennsylvania. A place where you can travel down a scenic road in an automobile and have to slow to a crawl because the vehicle in front of you is a one horse power buggy. Some of these Amish (and Mennonite and Brethren) have homes and workplaces that are free of electricity, and the internal combustion engine. This part of Pennsylvania was a haven for those who generations before fled the persecution of the Rhineland area for their out of ordinary beliefs for the welcoming more religiously tolerant Pennsylvania, a proprietary English colony founded by Quaker William Penn. Today the Anabaptist group of the above mentioned Amish, Mennonites, and Brethren have broken into a multitude of smaller, and smaller sects. 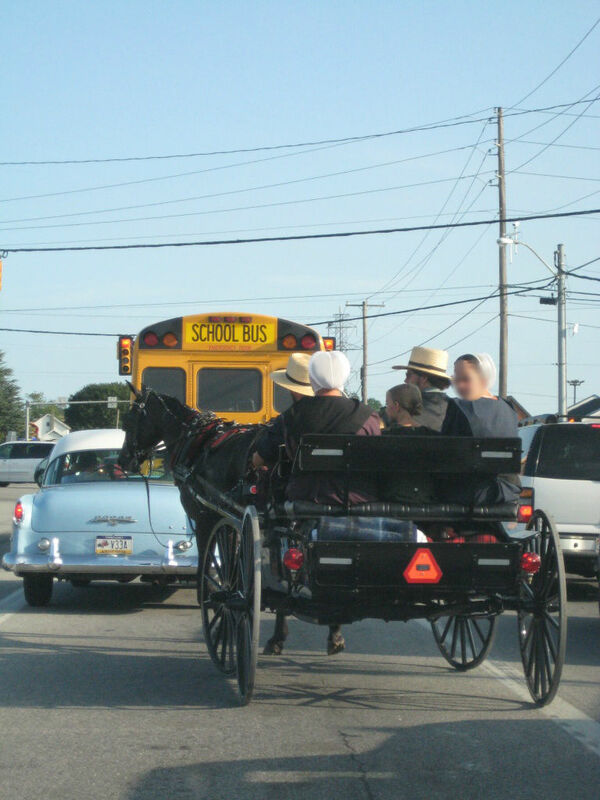 Some Mennonites don plain dress and drive plain black cars (black bumper Mennonites), others may look not a thing considered stereotypically "Mennonite," except the women do not have pierced ears. Yet, other Anabaptist wear traditional zipper free clothes and read by the light of a kerosene lamp at night. Each of these subgroups broke away from other groups and sometimes meld into yet groups a number of times, and continue to do so. Once I studied (in an introductory sense) all of this Pennsylvania Dutch culture in my anthropology class in undergrad and later was friends with some quite contemporary Mennonites. Between the class and having friends steeped in the culture I learned how varied and split up the Anabaptist are in such a small area. I was astonished. To be honest, my thought was "What wrong with these folks? You all basically believe the same thing just get along'n junk." I cannot help but note a burgeoning and vaguely similar outline today with the free thought movement of rationalist, skeptical, humanist, and atheist. 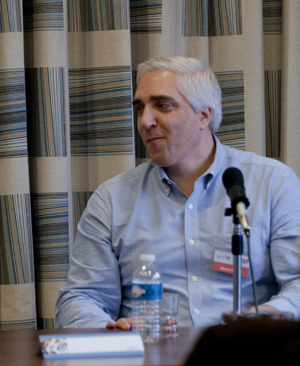 Now within organized atheism there is a movement to split away from the humanist and old order atheist (my term) and form a third wave of atheism. I do not follow the modern atheist movement all that closely. Yes, I know it exists, and I admire more of a few of the active atheist such as Kylie Sturgess. 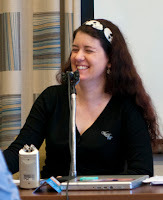 I am not big into the humanism, although I admire some who are active humanist such as Hayley Stevens. Both Sturgess and Steven also happen to be quite accomplished skeptics too as if I have to remind the reader. I agree with the general thought process of both noted groups, and I do not begrudge those who wish to be active in such activities. Neither one is for me. I see myself as a skeptic. Perhaps not a shining example of skepticism, or a mover and shaker, but scientific skepticism is something that I can get behind. I stipulate there is a large overlap between skeptics, atheist, humanist, feminist, progressive, libertarians and probably other groups too. There are also those who wish to see themselves as just one of the many free thought/rationalist categories that are bandied about these days. I do think good fences do make good neighbors between the above groups, and although a person can belong to more than one of the above groups, it is imperative to know which hat one is wearing at any given time. Yet, I also think especially as active atheism might be splitting into a new subcategory, which is a more politically aware variant, to ponder what someone looking in at all this might think. Does it look rational? Does it appear to make sense? Is it welcoming or off putting? The landscape is clearly getting more complex. The line is over used that "free thought folks are like herding cats," but if cats appear too unruly then dogs sure might look like a better bet. I am not advocating that there ought to be maximum leader in charge of the atheist or skeptics to impose order. To be honest, I am not sure what is the solution, but it does bother me that breaking down to smaller and smaller subsets might appear a bit loony to the outside world. I suppose free thought people are just has human as the Anabaptist, and liable to do the same things even thought the world views are at near complete odds . Sure good fences make sense, but when the neighborhood keeps getting subdivided it starts looking weird to outsiders. While I am in front of my Mac, I might as well note that Kylie Strugess has release on her Token Skeptic podcast Dr. Steven Novella's talk given at the 2011 Q.E.D. Con. Dr. Novella's lecture is on why the human brain is a kludge that is quite fallible, and so easily fools people into irrationality. I really do appreciate these type of episodes where Sturgess uses her podcast as an outlet to allow a wider audience to share in such an event. Dr. Novella gives a very interesting 45 minute talk with a few audience questions at the end as a bonus.